China’s Tiangong-1 space station fell to Earth on April 2, raining debris over a patch of Pacific Ocean some 2,500 miles south of Hawaii. But Tiangong-1 is just the tip of the space-junk iceberg. Avoiding such catastrophic collisions is vital to ensuring humans can still access space without have their hardware or spaceships whacked by debris. With space exploration and commerce about to boom, it’s more important than ever to keep track of all the junk. Thankfully, the Space Surveillance Network (SSN) does just that. Led by the US military, the SSN uses an global network of partners to identify, track, and share information about objects in space — especially any potential close calls. “In 2017, we provided data for 308,984 events,” Diana McKissock, a flight lead with the US Air Force’s 18th Space Control Squadron, which helps track space debris for the SSN, previously told Business Insider. The reason the SSN pays such close attention is that just one major collision can have huge ramifications. A crash would create even more debris, meaning there’d be a much greater chance of more collisions in the future. There’s even a hypothetical, scientifically plausible, spiraling-out-of-control scenario with space junk called the Kessler syndrome. 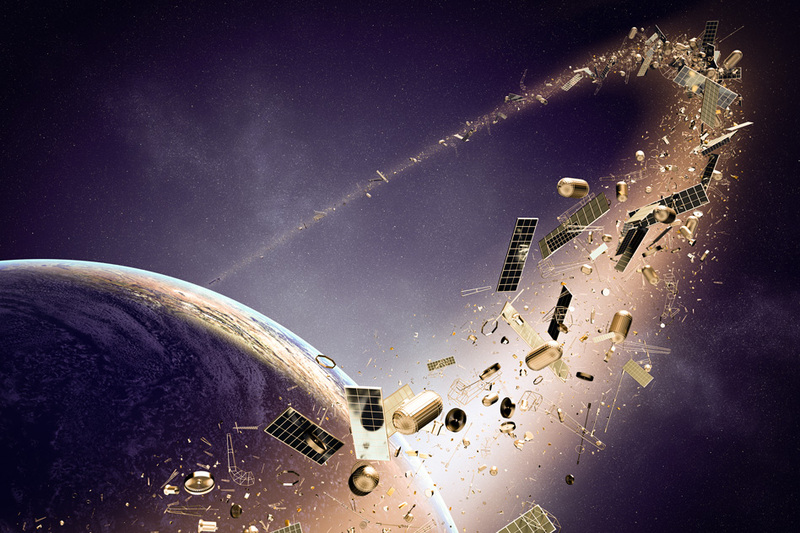 In a Kessler syndrome event, one collision begets other collisions, and quickly spreads debris in a catastrophic chain-reaction. A Kessler syndrome event could create an Asteroid Belt-like field of debris in large regions of space around Earth. Those zones could wind up being too risky to fly new satellites or spaceships into for hundreds of years, which would severely limit human access to the final frontier. On Sept. 15, 2017, The spacecraft Cassini will make its final approach to the giant planet Saturn.